For people of all ages who enjoy life with a dash of verve and viqour. This low-profile sportcruiser concentrates on the essentials. In a busy world, time is precious. 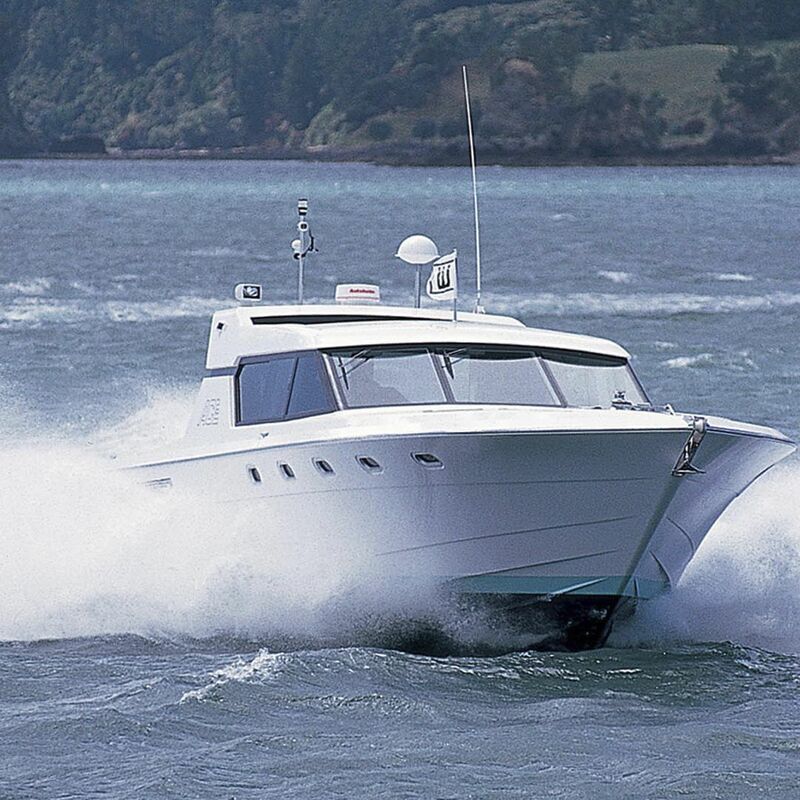 For those who want to range beyond the herd, but still have to maintain schedules, high performance cruising in a low-maintenance package is the answer. 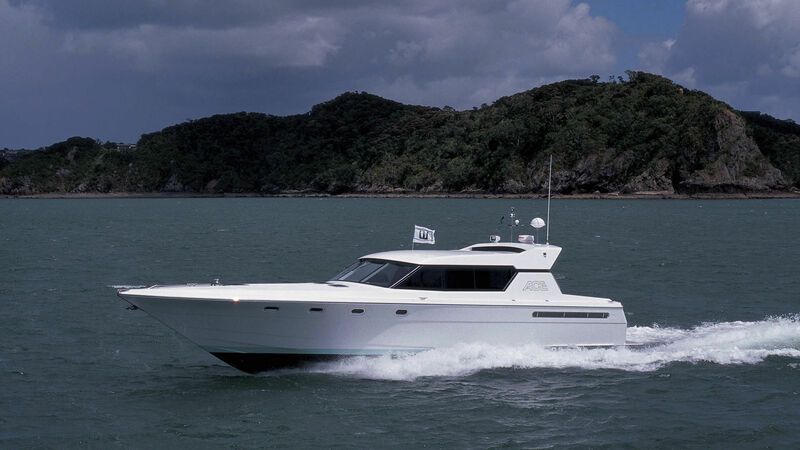 At 50ft Ace design has big-boat attributes of power and performance, but is easily manageable. For couples who like to escape alone on occasions, this is perfectly feasible. 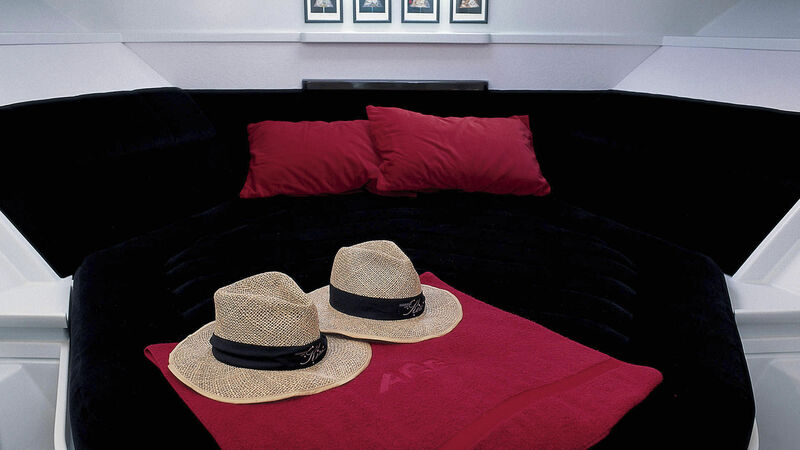 In more gregarious moods, there is always space for children or guests. Constructed in composite GRP and ply, with no brightwork to consume hours of varnishing, the hull and exterior finishes emphasise low-maintenance. The interior are all lacquered, requiring just a wipe-down to maintain their pristine looks. 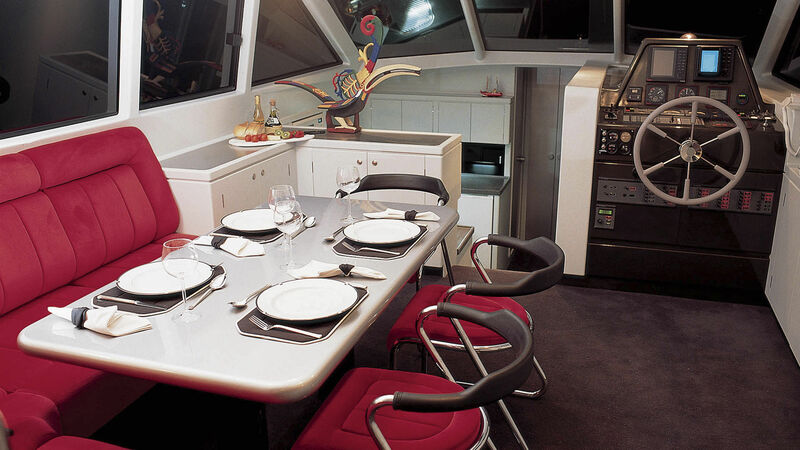 The spacious saloon and cockpit are on a single level, separated by a substantial stainless steel and glass sliding door, allowing an easy indoor-outdoor flow. A generous platform on the transom makes access to and from the water effortless, whether from a dinghy or for swimming. The rigid bottom inflatable tender is suspended from davits, which fold away into a large aft storage locker when not in use. On board, all the comforts of home are assured with a 230 volt supply, allowing the use of household domestic appliances. A large battery bank with 600 ampere/hour capacity allows long periods of ‘quite ship state’ with out the generator. 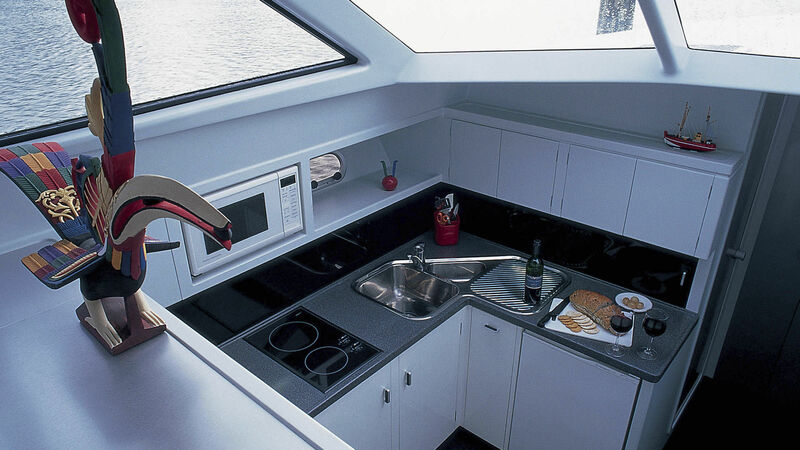 The galley and accommodation are situated forward and down a level from the saloon.